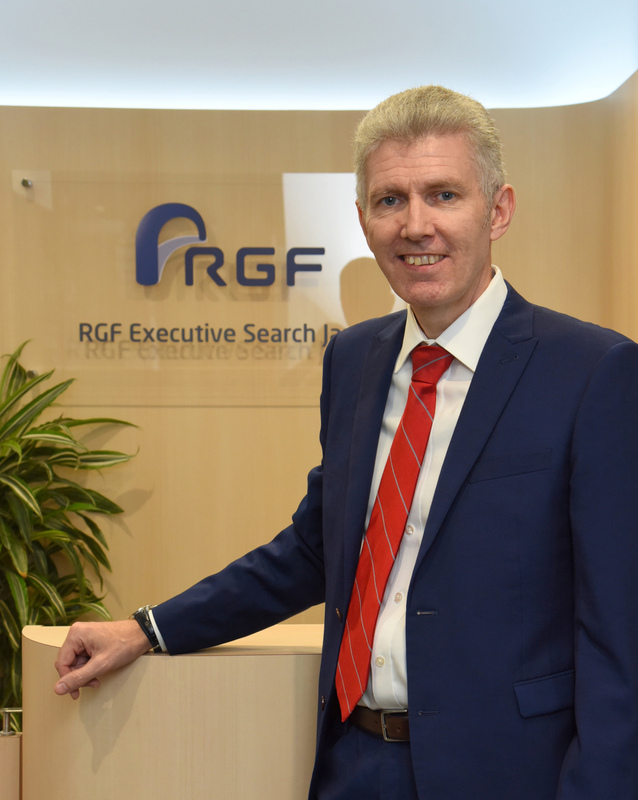 For RGF Executive Search Japan CEO Struan McKay, the recruitment industry is often misunderstood. It’s a strategy that McKay, a self-confessed introvert, firmly believes in. He has lived it himself, moving from a manufacturing and production background and developing a successful recruiting career building on his industrial experience. “I still firmly believe that a real value in industry and society (comes from) manufacturing companies, where people make things,” he said. The precociously talented mechanical engineer, who counts Nissan, Mars and Nestle among his former employers, had to reexamine his career options after coming to Japan to live with his Japanese wife and raise their family. According to McKay, his is hardly a unique situation. While he is generous with his time when it comes to advising people who want to come to Japan because of family reasons, but are apprehensive about their career prospects, he believes the best solution for these job seekers is to already be in the country. “I used to always say learn the language,” he began. “If your wife is Japanese then you don’t need to be much of a fortune teller. At some point in your future you’re probably going to come here.” He added that he believes it is best to learn Japanese as soon as possible in the earliest stages, but it is possible to survive without language skills depending on what industry the individual works in. While he foresees some initial resistance to changes in immigration, McKay repeats that language isn’t the be all and end all. “Honestly? It’s about being here. You just need to come and be here long enough to understand what’s happening, understand the culture, look at the opportunities and show commitment to people,” he said. “Like, ‘I’m here asking you for a job. I’m not sending an email. I’m not in Florida; not on Skype. I’m actually sitting in front of you.’ I think that goes a long, long way. Looking at the market, McKay observes that demand is outstripping supply in fields such as health care, finance, pharmaceuticals, medical devices, the “internet of things,” big data, artificial intelligence and new finance, where cryptocurrencies and blockchain reign. “If we had a machine that pumped out AI engineers or data analysts, we could place every single candidate,” he said with a laugh. Before his own career change where he ended up in recruiting, it was Nissan that first brought McKay to this country for short stints during the bubble era to learn about new vehicle model production. As the first graduate hired by the automobile manufacturer in the United Kingdom and the youngest engineer to be promoted to a managerial role, McKay was internally recognized as a record breaker and admits to once harboring ambitions to become the company CEO. “But I jumped ship right before the Renault deal,” he said, smiling. Noting that RGF is one of the few recruitment companies that bases its teams on industry and not job function — “We still have an industrial team, a health care team, the technology team and a financial services team. There are some ups and downs, but I still believe that’s the best way to connect with our clients,” McKay said. He also acknowledges his firm’s speed and flexibility as a smaller organization, alongside the security and credibility it has working under the umbrella of Japan’s largest recruiting organization, Recruit Holdings. “We have that structure. We have a very clear brand matrix that we work all through Asia, what we deliver, which market, what we don’t deliver and what is provided by our sister companies. We have the stability of a Recruit Holdings company. We have a great training and development program for all of our consultants and we have a fantastic reward system,” he said. McKay still has a soft spot for manufacturing, but firmly believes that with the right attitude, success in making a significant career change is definitely possible. 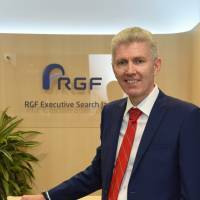 Struan McKay serves as CEO of RGF Executive Search Japan, where he is responsible for the firm’s day-to-day operations. He joined the company in 2006, and soon established the Industrial & Manufacturing Division. He has since held multiple leadership roles, including head of the technology, consumer and operations teams, as well as chief operating officer. McKay has been involved in executive search in Tokyo since 2003, successfully executing positions in market entry and startup projects for foreign capital clients, along with C-level placements for small to medium-sized firms looking to strategically reinforce or upgrade their management teams. Prior to moving to Japan, his background included production, engineering, and factory management roles, with over 16 years of experience at Nissan, Mars, Nestle and SCA Hygiene Products in the U.K. Originally from Scotland, McKay has an engineering degree from the University of Strathclyde and an MBA from Durham University Business School. In his spare time he enjoys riding Italian motorcycles, reading good books and walking his dog.